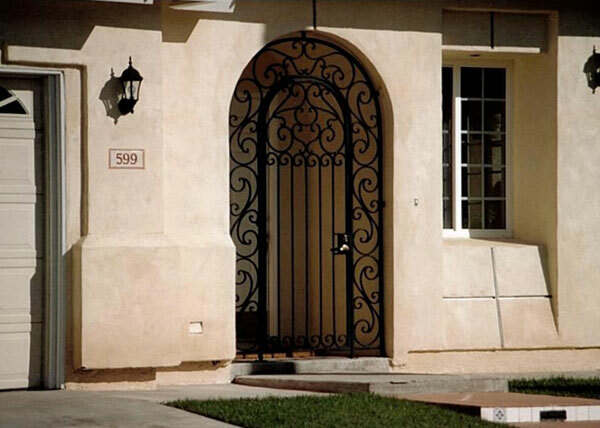 Custom-made, hand-forged iron doors have become one of our specialities at B.A. 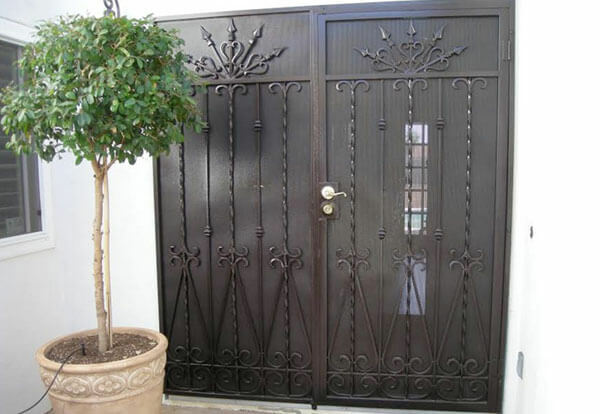 Ramirez & Sons Ornamental Iron Works, Inc.. We have decades of ironwork experience and can design, hand-forge, weld, and install ornamental and wrought iron doors exactly to client specification using the industry's best fabrication techniques. 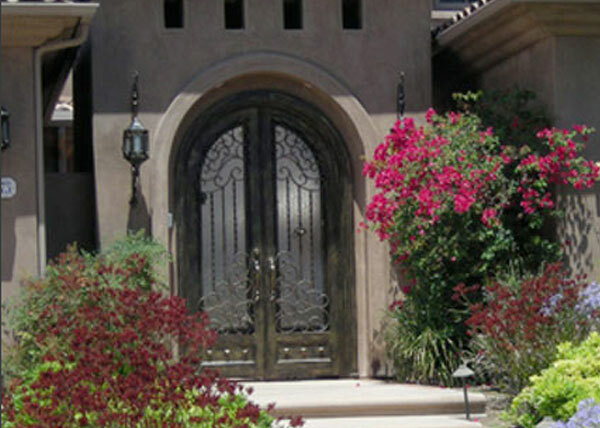 By offering exceptional craftsmanship, competitive prices, excellent warranties, and superior customer service, we offer San Diego's best value in custom iron doors. 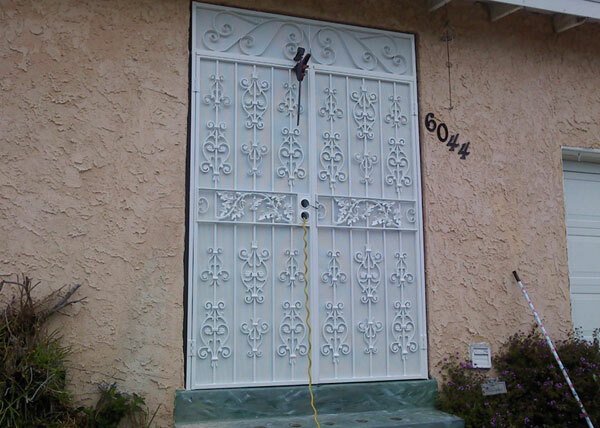 Our iron doors improve security and elevate the look of a home or business's exterior. When installed within a front door's opening, they can serve as an elegant screen door; and when installed several feet away from your front door, they become an ornate enclosure that keeps visitors away from your main entrance. No matter your preference or door, we will work with your to achieve your vision. As we work through the design, we will also make you aware of opportunities to reduce your costs as well as extend the expected lifespan of your door. All of our doors are hand-forged and welded in house, meticulously finished, and built to last. 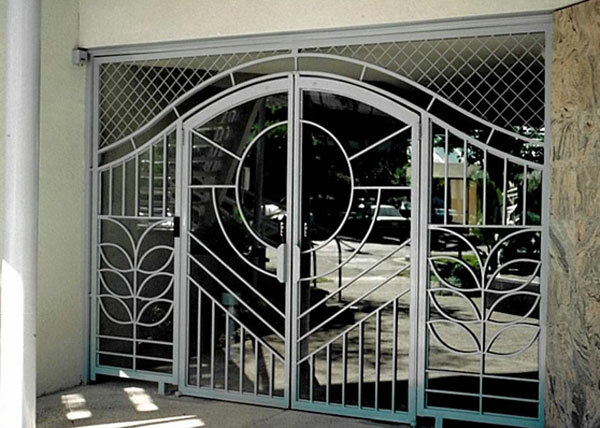 Call us today to learn more about our custom-made front entrance doors/gates, decorative enclosures, and security screen doors. We offer free online consultations and estimates. We are licensed, bonded, and insured, and serve the entire San Diego area, from Escondido to Imperial Beach. 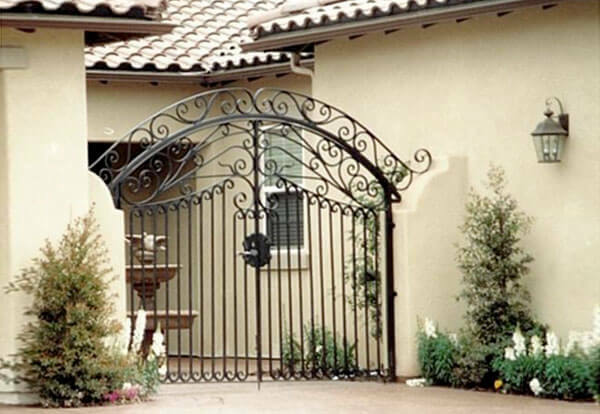 An exterior iron door/gate placed at your front entrance (usually away from your door), not only serves to provide added security, but also gives your property a sophisticated and stately look. Typically hand-forged out of steel tubing or solid steel. Design options include smooth or hammered scrolls, oak leaves, rose leaves, and more. Can be metallized, hot-dipped galvanized, and/or given a baked-on powder coat finish for rust protection. Choose from 100s of powder coat colors or opt for a custom-color using a liquid epoxy finish. Ability to add intercoms, telephone entry, electronic locks, keypads, and other features. Two-year labor and materials warranty. 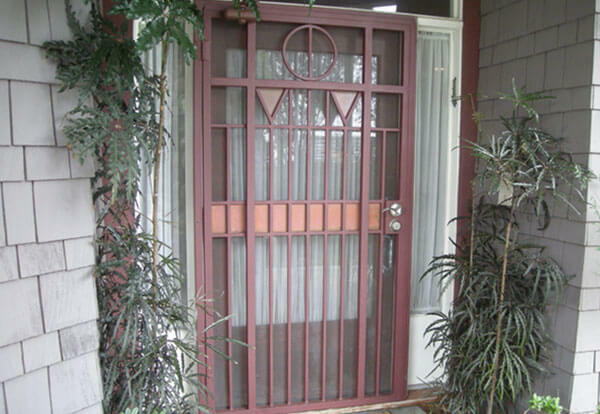 Our security screen doors let you ventilate your home without having to compromise your security. Features heavy steel construction and high-quality hardware. Made to fit any door opening, no matter its size or shape. Can be customized with cast or hand-forged designs, such as straight or hammered scrolls. Installed with a fiberglass or perforated steel screen backing to keep out bugs. Glass backings can be installed for those who want a storm door.